Cyprus is sometimes spelled Kipros, Kypros, and similar variations. A large island located in the Eastern Aegean area of the Mediterranean, the coordinates of the capital of Nicosia are 35:09:00N 33:16:59E. It is located south of Turkey and west of Syria and Lebanon, and northwest of Israel. Its strategic location and relative neutrality in relation to many of the Middle Eastern nations have made it something of a crossroads and it has been helpful in some delicate diplomatic proceedings. 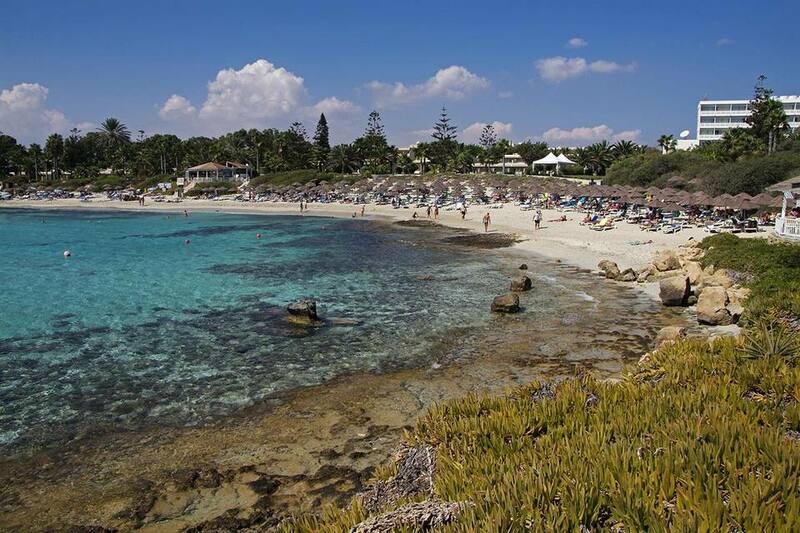 Cyprus is the third largest island in the Mediterranean, after Sardinia and Sicily, and ahead of Crete. Cyprus is a divided island with the northern portion under Turkish control. This is called "The Turkish Republic of Northern Cyprus" but is only recognized as legitimate by Turkey itself. Supporters of the Republic of Cyprus may refer to the northern portion as "Occupied Cyprus". The southern portion is an independent republic called the Republic of Cyprus, sometimes referred to as "Greek Cyprus" though this is misleading. It is culturally Greek but is not part of Greece. The entire island and the Republic of Cyprus is part of the European Union, though this does not quite apply to the northern portion of the island under Turkish control. To understand this situation, the official European Union page on Cyprus explains the details. Nicosia is the capital; it is divided by "The Green Line" into two parts, similar to the way Berlin was once divided. Access between the two parts of Cyprus has often been restricted but in recent years has been generally problem-free. Many visitors go to Larnaca (Larnaka), the major port located on the southeast coast of the island. Cyprus has extensive cultural ties with Greece but is not under Greek control. It was a British colony from 1925 until 1960. Prior to that, it was under British administrative control from 1878 and under Ottoman Empire control for most of the preceding several hundred years. While the Greece financial crisis affects the entire region and the rest of Europe, it is not impacting Cyprus much more than any other nation or area. Cypriot banks do have some ties with Greece, and the banks are watching the situation very carefully, but the rest of the economy of Cyprus is separate from that of Greece. If Greece ends up leaving the Euro, that will not affect Cyprus, which will continue to use the Euro. Cyprus has its own financial problems, however, and may need a separate "bail-out" at some point. What Are the Major Cities of Cyprus? Paphos (where they hold an annual cultural festival named for Aphrodite. Kyrenia (Northern Cyprus). More information on Northern Cyprus. What Money Do They Use in Cyprus? Since January 1st, 2008, Cyprus has adopted the Euro as its official currency. In practice, many merchants take a wide variety of foreign currency. The Cyprus Pound was gradually phased out over the following few years. Northern Cyprus still uses the New Turkish Lira as its official currency. You can check the conversion rates using one of these currency converters. While Northern Cyprus will continue to officially use the Turkish lira, in practice its merchants and hoteliers have been accepting a wide variety of foreign currency for years, and this will continue. Starting January 1st, 2008, the Euro will be used in all transactions in Cyprus. Have old Cyprus pounds sitting in a drawer? Now is the best time to convert them. The permanent conversion rate for one Cyprus pound into Euros is 0,585274 to one Euro. Cyprus is served by a number of international airlines and is also served by charter airlines, mainly from the UK, during the summer. Its flagship airline is Cyprus Air. There are many flights between Greece and Cyprus, though relatively few travelers include both nations on the same trip. Cyprus is also visited by many cruise ships. Louis Cruises is one that offers transit between Greece, Cyprus, and Egypt, among other destinations.